Eldeco is providing quality living through independent Villas or flats to cater for all budgets. 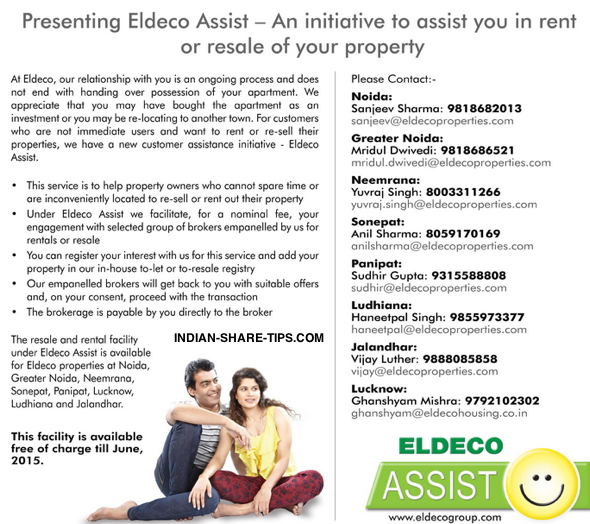 Now they have started with Eldeco Assist Policy where one can list their property for selling. You can check Eldeco EstateOne Ludhiana Youtube video here. Go for our free share market tips and make money like professionals.